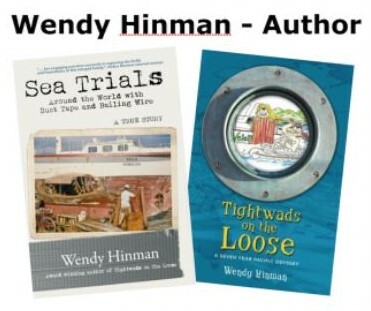 Join Wendy Hinman at the Wednesday Yachting Luncheon at St. Francis Yacht Club on Wednesday April 10 at 11:30am for sea stories. 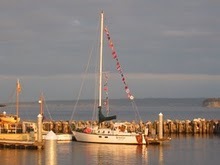 Ever consider just sailing off into the sunset? After years trotting the globe for business and vacation travel, Wendy Hinman, did just that. This adventurer and the award winning author of two sailing books will share highlights from her 34,000-mile, seven-year voyage around the Pacific with her husband Garth Wilcox aboard a 31-foot sailboat. 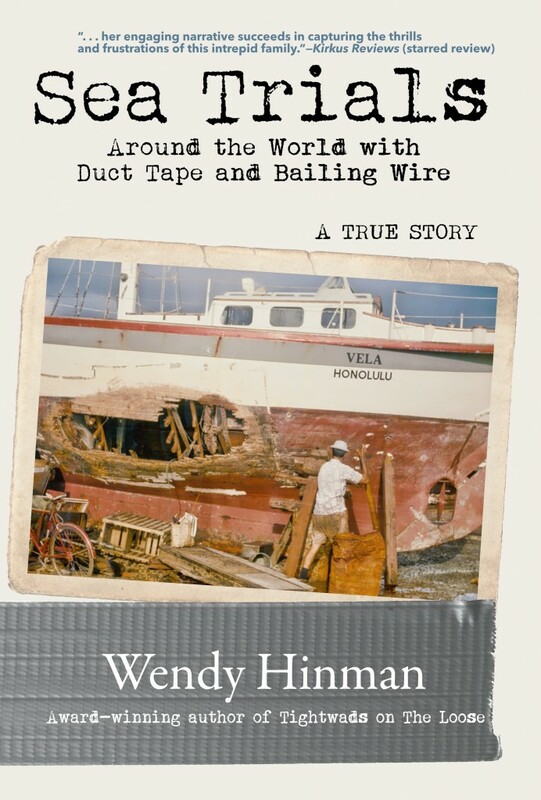 She will share a family’s struggle to complete a circumnavigation despite a shipwreck, wild weather, pirates, gun boats, mines, thieves, dengue fever, near-starvation, scurvy and more. 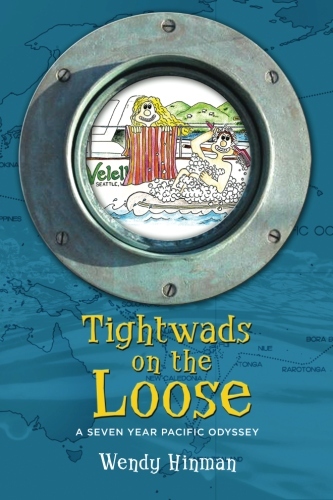 Come hear about their harrowing adventures and ask Wendy to autograph one (or both) of her books, Tightwads on the Loose: A Seven Year Pacific Odyssey and Sea Trials: Around the World with Duct Tape and Bailing Wire.